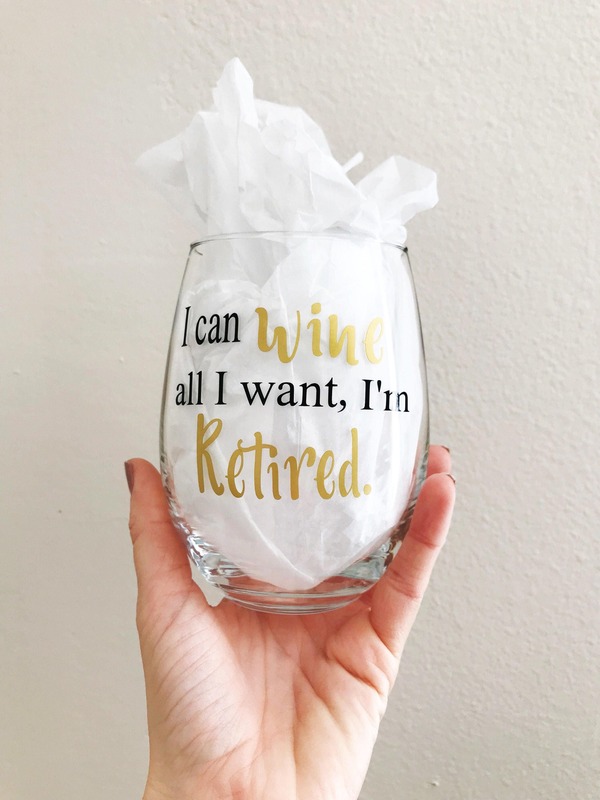 "I can wine all I want, I'm Retired. 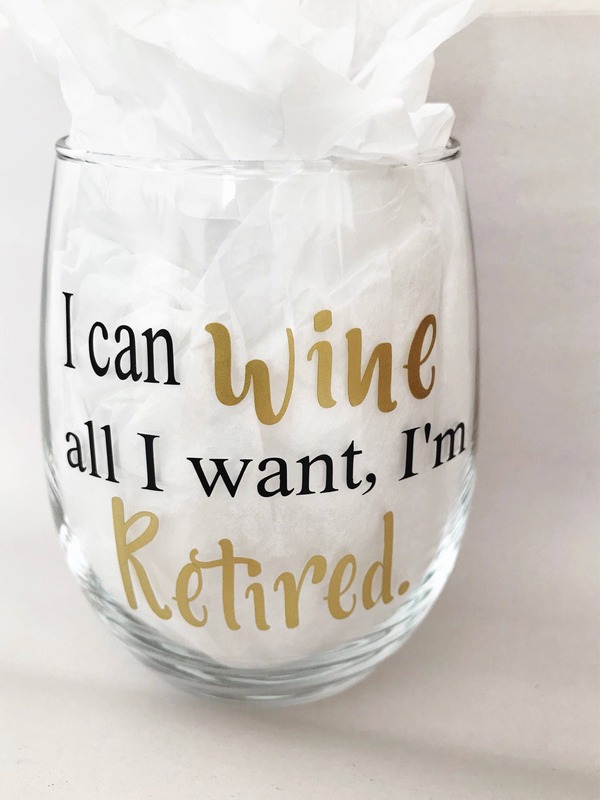 ", wine glass, for those of us who feel the need to "wine" because you can, you're retired, ENJOY!! 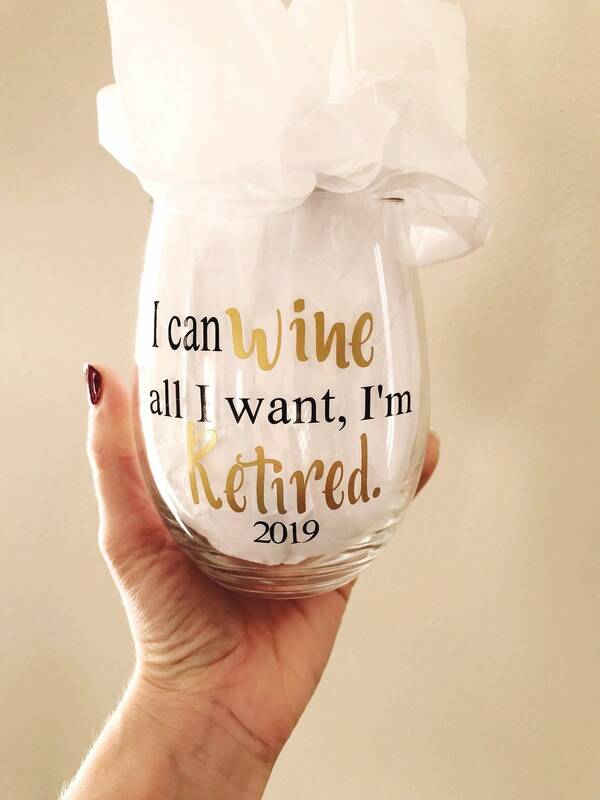 Custom designed 21oz stemless wine glass made with permanent gold and black vinyl.